A dear friend sent me this! It's a little strange not going back to school today. 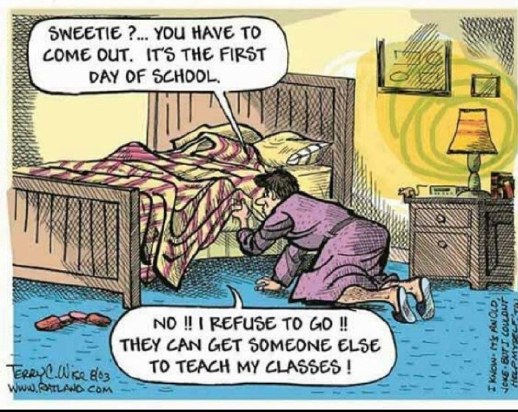 The first day of school is always so exciting, fun, and typically exhausting. I feel a little sadness but mostly pure excitement for this new journey...at home. "Dear Lord, I pray for our family as we transition from a two income household to one. I trust you, and I trust our decision to do this. We thought and prayed about this for a LONG time. Although staying home will come with different stress and different challenges, I'm diving in head first. Thank you for listening to my prayers and making my dream become reality. I feel blessed, scared, excited, and nervous for this new life. Prepare me to be the best mother to Ireland and loving wife to MVP. Thank you for my marriage and my incredibly brave and hardworking husband. We've made so many adjustments but we're ready for this! I ask for guidance as our roles change. I ask for patience as our roles change. I ask for responsibility as our roles change. Sometimes I feel guilty for wanting to stay home and other times I feel guilty that I have the opportunity. Let me fully enjoy it because I know this is right for our family. I pray for those who are going back to school today; I pray they bless those sweet students and shower them with love. I'm beyond excited for them and also to see what is in our future. Lord, I'm ever-so-thankful! I'm going to continue snuggling my little peach...that's my new job. OH baby snuggles! So precious :) Enjoy this new job! 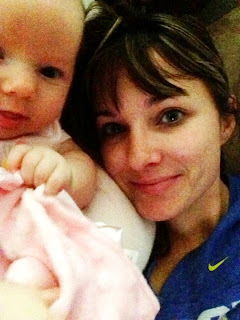 I'm a stay at home mommy now too and I often feel guilty for the opportunity too...what a blessing it is!